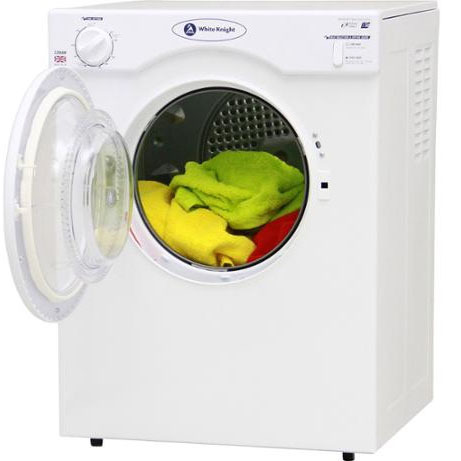 This White Knight Compact Tumble Dryer features a modest 3.5kg load capacity and reverse action tumble which means that your clothes are dried more evenly. 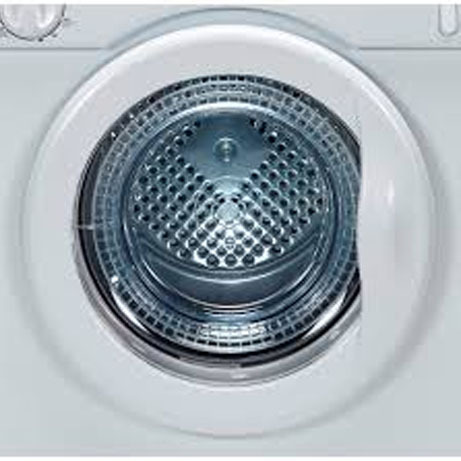 This machine is perfect for those who dry smaller loads less often. Or those that like to have a tumble dryer for the emergency laundry situations. 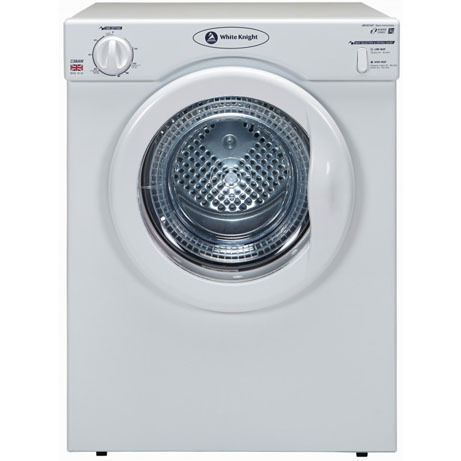 Despite its small dimensions it boasts a load capacity of 3.5kg (cottons). With 2 heat settings and up to 140 minutes drying time it is a versatile machine easily able to take care of most of your drying needs.